The Rio Real golf course was designed by the legendary Javier Arana, considered to be the best Spanish designer of all time. Its design makes it a spectacular course. 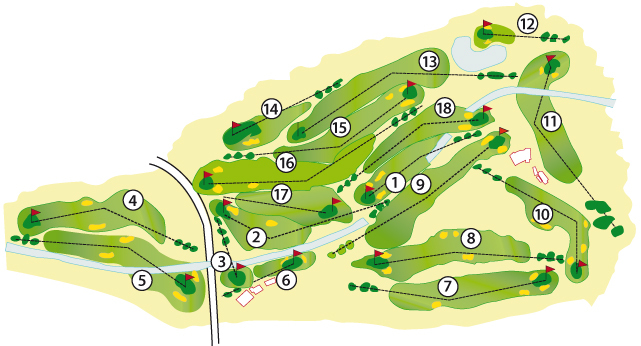 With 18 holes (par 72) and more than 6,000 m in length, the Royal Spanish Golf Federation (Real Federación Española de Golf) considers it to be a prestigious golf course and one of the best in Spain, both for its layout, as well as it unique beauty. The course has a wide variety of different species of trees: Pine, Palm, Casuarinas, Olive, Cypress, etc. 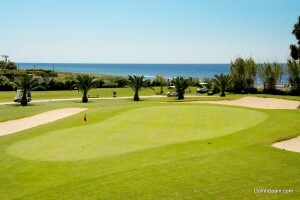 which make it the ideal place to play golf, both on foot and in golf carts. The course is suitable for every player, thanks to its more elevated holes, which make them even more appealing as they require the use of various clubs.